Ah, history. I love history. Actually, no, I take that back. I love screwing up history. It’s fun for me. But, this blog post is not about me. 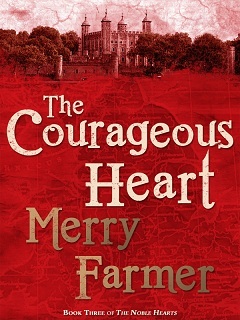 Today, it is about the wonderful Merry Farmer! Can’t choose? Who said you had to choose? Screw choices! No one likes choices. Get them all! Why? Because you can’t go wrong with a little bit of history and romance! Now, ladies and gentlemen, the author! 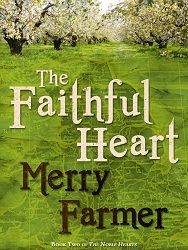 Merry Farmer is an award-winning novelist who lives in suburban Philadelphia with her two cats, Butterfly and Torpedo. 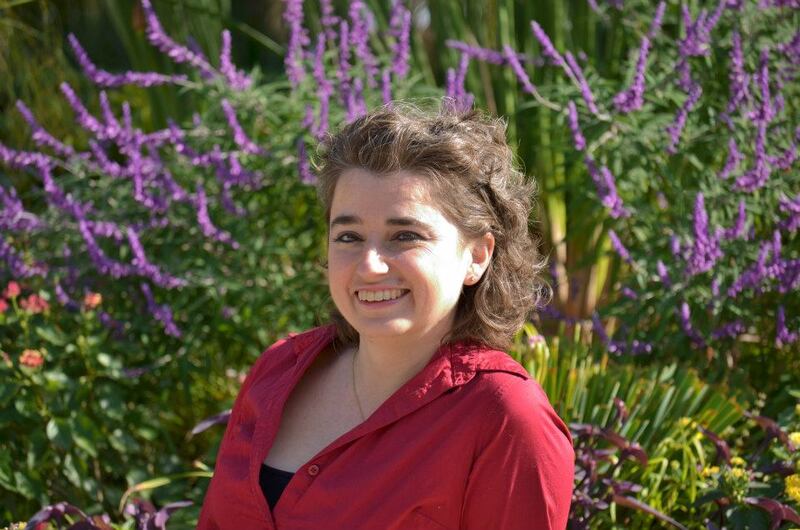 She has been writing since she was ten years old and realized one day that she didn’t have to wait for the teacher to assign a creative writing project to write something. It was the best day of her life. She then went on to earn not one but two degrees in History so that she would always have something to write about. Today she is a giant History nerd and a hopeless romantic waiting for her own love story to start. Her first book, The Loyal Heart, is a swashbuckling Medieval Historical Romance involving a love triangle that will keep you guessing. 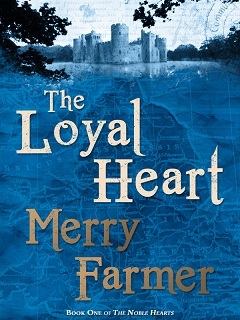 Both The Loyal Heart and its sequels, The Faithful Heart and The Courageous Heart, are available in electronic and paperback formats wherever books are sold. She has also begun a new Western Historical Romance series set in Montana in 1895. 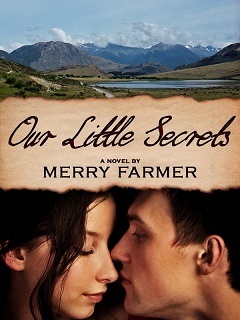 The first of that series, Our Little Secrets, is now available. The second, Fool for Love, will be released in April 2013. Merry is also passionate about blogging, knitting, and cricket and is working towards becoming an internationally certified cricket scorer. What got you into writing in the first place? I think I must have been born a writer. It’s been a part of my life for as long as I remember. But I do have distinct memories of the day when I was in third grade and it dawned on me that I didn’t have to wait for the teacher to assign a creative writing project to write something. I could just write. It coincided with the moment I realized that I could write a story about the boy I liked in which we were best friends. So yes, I’ve been writing romance since I started writing. Why your genre? Do you plan on branching out or do you feel at home in what you write? I have always loved Romance as a genre, probably because my real life has always lacked love. My parents were divorced when I was six, my grandmother (who we then lived with) was widowed a year later, and I never really figured out the whole boys/dating thing in school. Depressing, true, but those traumas proved to be a fertile ground for romantic stories to grow in! As for variation within Romance, I started out writing Historical Romance because I have always loved history … and BBC costume dramas. But I’ve also written a fair share of what I call Women’s Sci-Fi. I’d love to pursue that path a little more. I’ve also started writing Contemporary Romance lately. Let me tell you, it’s a whole different kettle of fish from Historical Romance! We’ll see how it goes. I used to be 100% pantser. These days though I’m more of a “plantser”. I’ve found that I need to know what the climax of the story is before I start writing it. Otherwise it spins off into nowhere and I have a hard time reining it in. At the same time, I can’t plot out every last detail. I discover so many things about my characters and the worlds they inhabit and the situations they find themselves in as I write. Leaving myself open to possibility as I tell the story has really helped my writing. Do you have a writing room or place that you go to write? I guess I do. I recently acquired a standing desk, which I have set up facing one of my windows that looks out to a small woods. I get up at 5:30am every morning and write before work while the sun comes up. The standing desk is awesome because it keeps my spine from being compressed all day. Now all I need is a treadmill to go under the desk and I can write and exercise at the same time! Take me through your writing process. How do you begin? I usually start by daydreaming about an idea for days or weeks or months or even years. I must have at least two dozen story ideas floating around my head with more butting in every day. When it comes to actually choosing one to write, I’ll confess that lately I’ve been looking at what the market and different publishers are saying they want to see submissions of. When I write a first draft I try to be disciplined. I set myself a drop-dead finish date and give myself a daily word count goal (usually 2000 words). I’ve been pretty good at sticking to those goals. It helps to remind myself frequently that the only way I can make a living off of my writing someday is if I knuckle down and write as much as possible. After finishing a first draft, I usually let it sit for 4-6 weeks and fiddle around with something else. Then I’ll read through what I’ve written and make the first rewrites. After draft two, I give the book to my best-friend-and-sister-in-law and a few other trusted beta-readers. Once they give me their feedback I make more revisions. Rinse and repeat as many times as it takes until I’m satisfied. Then I self-publish (which I love doing!) or begin submitting to agents and publishers (which I’ve only very recently started attempting). Tell me about your book. Why could only YOU have written it? 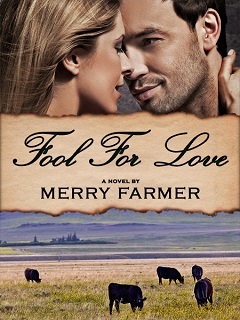 FOOL FOR LOVE is the second book in my Montana Romance series (OUR LITTLE SECRETS is the first). The heroine, Amelia, is pregnant and alone, having been jilted by her lover and dismissed from her position as a governess. The hero, Eric, is a cowboy from Montana in London looking for a business deal to save his ranch. He happens to be staying in the same house where Amelia is governess, and when she is dismissed, he comes to her rescue and offers to take her back to Montana where she can start over. But what begins as a simple arrangement turns into more than Amelia or Eric bargained for. People do foolish things when they’re in love. I suppose I’m the only one who could have written this book because I’m the only one with a sense of humor nutty enough to get these two into the situations they find themselves in. But I don’t want to give too much of it away, soooo…..
Tell me what makes your book(s) special. Why should I read them? I tend to write in a unique style that you don’t see a lot of in Historical Romance. I think of it as “Romance for the Red Bull generation”. My Medieval Romance trilogy (THE LOYAL HEART, THE FAITHFUL HEART, and THE COURAGEOUS HEART) were modeled off of the hip, modern feel of the movie “A Knight’s Tale”. They’re not what you would expect from the Middle Ages, but they’re definitely worth the ride. I have carried a bit of that through to my Montana Romance series, which takes place starting in 1895. 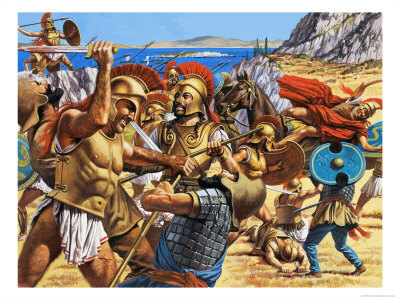 I’ve never believed that people of bygone eras were stodgy and stiff, so I’ve always tried to write about history in a way that feels current and fun. Writers say that reading is important if you want to write well. Keeping that in mind, what kind of books do you read? Of course, I’ve always loved Romance of all kinds, but I’ve been trying to branch out to other genres lately. In the last year I’ve read some Fantasy, some straight Historicals, and even a bit of non-fiction. I also like to beta-read novels for my fellow authors. I’ve been told I have a knack for developmental editing, and if I can help a fellow writer produce the best story possible, then I’m happy. You’re in a coffee shop. You get two authors to have coffee with. Which ones and why GO. J.K. Rowling and Jane Austen. They are my two favorite authors. They’re also two feisty, strong, opinionated women. I think we could have a blast … if we weren’t thrown out of the coffee shop first! Do you wear mismatching socks? It’s okay if you do. Don’t be shy. No, actually! I have a bit of a thing for socks. I collect them and I knit them. Yes, I knit socks. Some people have hundreds of pairs of shoes, I have hundreds of pairs of socks. I even started sewing “retired socks” (socks with holes in them) together to make a sock blanket. I never finished it though. Maybe I should go back to that…..
Now, below (nicely titled and separated) are the links you are going to follow. Why? Because you want to show Merry some love, and because of this interview, you are ridiculously interested in all she has to offer. Don’t lie to me, I know you are! Huzzah! Thanks for hosting me today R.J. It was a blast.